Bring the schools to your church! Watch how your regular kids/students will eagerly invite their friends to compete in this two-week competition with twists, turns and a deeper meaning. It’s easy to use at your regular service times, but can also be used as separate outreach events at any time of the year. It’s loved by both youth- and children’s ministries around the world (Age 7-15). Take out the chairs and turn your room into an awesome arena! Includes high-energy media elements that give the program an extra kick! Reach the young of your community! Outreach programs have never been this exciting! 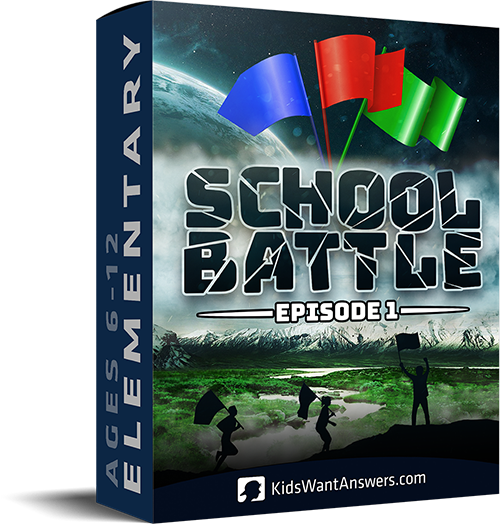 With School Battle, you’ll temporarily replace your regular service with a two-week competition where kids/students from neighboring schools “battle” in hilarious and awesome competitions. Your room will turn into an arena; attendees will be dressed in their school’s colors; and leaders will become team mascots! In order to win, kids/students are encouraged to invite friends from their school. Together, they’ll experience the event of a lifetime: School Battle! Kids compete for their school… at your church! Instead of regular teaching videos, this series has high-octane, inspiring, challenging School Battle videos, each introducing the next round of the competition. The teaching itself is live, and it’s broken up into multiple easy-to- teach pieces. They’re short but impactful, and help attendees to feel what a life with Christ could be like. Your goal is for kids/students to come back to church once School Battle is over. That’s why the teaching “teases” the attendees to want to know more about “this whole God-thing” :). Between the crazy awesome competition elements, attendees will learn that they’re not alive by accident. They’re alive because God has a purpose for them and cares about them! They don’t have to work or fight nor strive to belong. They already do. Most games involve all kids, no matter your church size. Lessons are written to maximize impact, yet minimize preparation time. It’s scalable from 8 to 300 people in a room at the same time (if you have more attendees, it’s possible, but you might want to split the event into two rooms with two arenas). The lessons focus on life-change (Bible application), not just knowledge-transfer. About KidsWantAnswers.com: KWA operates in over 20 nations, serving 3000+ churches from a wide variety of denominations. It works together with churches to collectively open the door to a new era of children’s ministry. 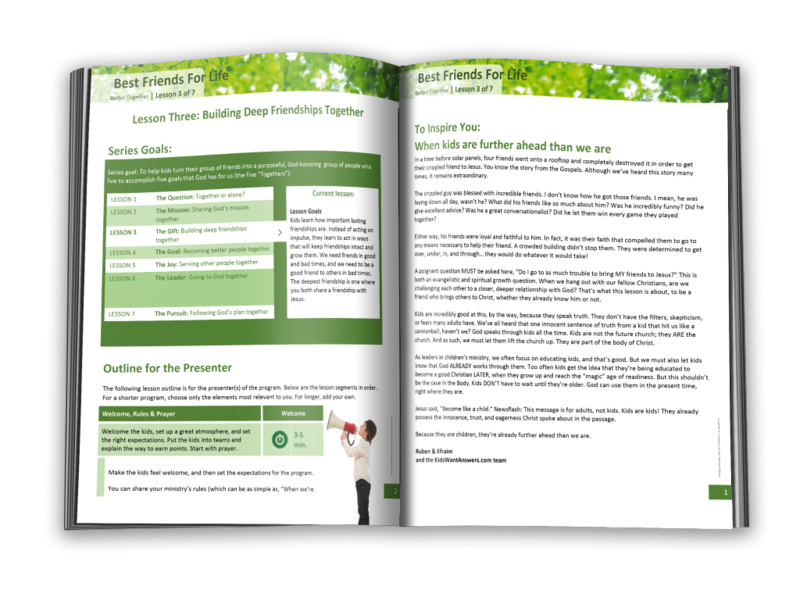 It has successfully tested and implemented 15 children’s ministry breakthroughs (and counting!) worldwide. KWA’s email newsletter is widely read and is considered pioneering literature in the world of next-generation disciple making.